Open yourself to a whole new way of promoting your business, and earn profits like never before. MsgClub offers the facility to send promotional SMS directly via copy-pasting, or via uploading a CSV file. MsgClub's promotional bulk SMS service, you can create your own phonebook to facilitate yourself in sending SMS. You can now send bulk personalized SMS to your prospects, to make them feel more special, exclusively. MsgClub offers you the most robust Post APIs, allowing you to use XML & JSON with Ready Codes for the developers. Msgclub sms Mobile app is a powerful application that enables users to send generic & customized SMS message. MsgClub's Promotional SMS service lets enterprises to promote their businesses via a unique channel, that is the SMS. Bulk SMS messaging ensure better market reach and a better hold on prospects. With MsgClub's Promotional SMS services, you are provided with the facility to send bulk personalized SMS to your prospects, to show them how much do you care. This surely will grab their attention & will make them feel much special. Bringing to you the new way to send SMS offering discounts to your prospects via SMS. You can do that using MsgClub's promotional SMS gateway. Send discount coupons, exciting offers and much more on the phone. By using MsgClub's Post API, you get to send marketing SMS to an astronomically high number of people. We also allow XML & JSON Ready codes for the developers. Tracking of SMS made easy with Us. Check the status of messages on the go, enables you to take instant actions. We coupled with top network operators leave no stones unturned to get your messages delivered. If messages are restricted or rejected, they are instantly retired by backups. We are partnered with some of the most recognized mobile network operators to ensure optimal SMS delivery. With 4 operator backups in place, your SMS is sure to reach its destination. Being powered by effective SMS queuing mechanism, We choose the fastest possible route to ensure the delivery of messages. Having established partnership of more than a decade with network operators, we get best deals on bulk messaging. This in turn, translates into cost benefits to our valuable customers. 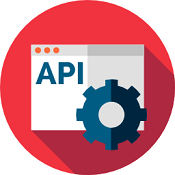 Easy to integrate with website, mobile application and other software solution, our powers API is capable of handling enormous traffic while ensuring message delivery. HOW CAN I GET PROMOTIONAL SMS SERVICE FROM MSGCLUB? To get MsgClub's best-in-class Promotional SMS service, please do contact us at the contact given or visit us at our office, anytime. We provide you with a complete solution for all your Promotional & marketing SMS needs. IS THERE ANY DOCUMENT REQUIRED TO GET PROMOTIONAL BULK SMS FROM MSGCLUB? If you wish to avail MsgClub's Promotional SMS Service, we need you to sign an undertaking, on your business letterhead. This is for nothing but just to ensure safe and proper usage of promotional SMS. 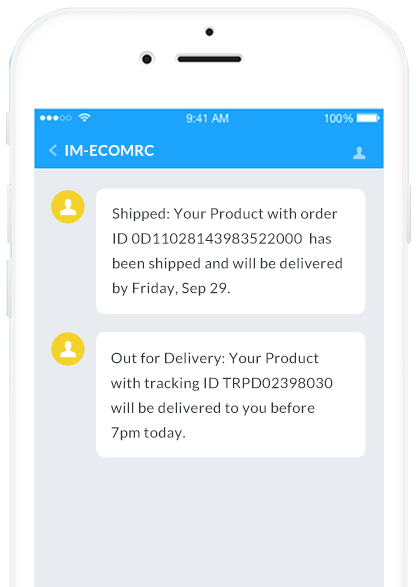 HOW TO USE PROMOTIONAL SMS API? We offer the best & robust APIs in the industry, for our Promotional SMS services. Using our APIs you will be able to send SMS without having the need to log in to the MsgClub panel again and again. This is just to simplify and smoothen the functionality of MsgClub's promotional bulk SMS services. WHAT IS YOUR PROMOTIONAL SMS PRICE? We, at the MsgClub, provide our promotional SMS gateway services at a very considerable yet affordable price. We provide the best promotional SMS price pocket-friendly than our competitors and also offer round-the-clock support. WHY DO I NEED TO GET PROMOTIONAL SMS GATEWAY? There exist numerous similar businesses, like the one you own, out there in the market. To create your brand value, and to attract more clients, you need to promote your business and for this, MsgClub provides its promotional bulk SMS service so that you can send promotional and marketing SMS. WHY SHOULD I CHOOSE MSGCLUB AS MY PROMOTIONAL SMS SERVICE PROVIDER? MsgClub provides you with authentic solutions to all your bulk SMS promotional needs. MsgClub, with 11+ years of experience, proudly announces thousands of happy customers and delivered satisfaction, as we have best developers & support team to offer you post-purchase services. SMS marketing is evolving as an extremely vast marketing channel. As a result, Promotional SMS has gained tremendous popularity these days. are extensively used by a number of companies for promotion, marketing and other business purposes. 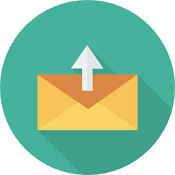 MsgClub brings to you an easy and accessible Promotional SMS gateway where you can register your firm and send bulk Promotional SMS in a trouble-free manner. in India. Give your clients and customers updates on promotional offers, discounts etc with the affordable promotional bulk SMS service at MsgClub. Take your business venture a step ahead of others, with our easy-to-use and exciting promotional SMS services. to offer you. 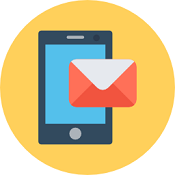 This service from us is sure to make your bulk SMS campaigns much easier than ever. services to help you in your marketing purposes. MsgClub's promotional SMS service allows any enterprise and business to promote their services via a whole new marketing channel, i.e., SMS. Grab ahold of more and more customers and see yourself grow as an organisation. in India. By using MsgClub's Post API, you get to send marketing SMS to an astronomically high number of people. We also allow you to use XML & JSON with Ready Codes for the developers. , sending marketing SMS right to the mobile phone of your customers has become very easy than ever. 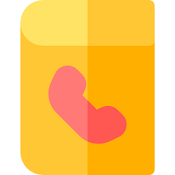 You can add your contacts to the phonebook to properly manage contacts and assign them to different groups to simplify future SMS campaign executions. If you need to send personalized SMS to your customers, to enhance customer relationship, you can do that using our promotional SMS services, as we offer personalized SMS feature which enables enterprises to send SMS with individual names. You can upload a CSV file, or can use a draft file to send SMS. MsgClub is having an experience of 11+ years, & thus, is a trusted name in the field of bulk SMS gateway in India. We are the leading provider of the best promotional SMS services in India. We also deal with bulk SMS services, SMPP client and server services, URL shortener and many more services. 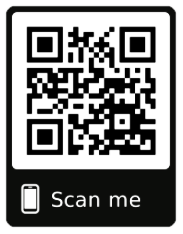 Apart from this, we are providing an Android application to our valued customers now. We're dedicated to providing succinct customer service to ensure their success. For all these reasons, MsgClub stands undoubtedly at the first position in providing promotional SMS service industry of bulk SMS marketing. To avail our services, contact us here.